Luke Schneider, the CEO of Texas-based upstart rental car agency Silvercar is looking to change the game when it comes to renting a car. Schneider describes the current method of choosing a rental car as the “PT Cruiser Lottery”, which forces you to choose from the least terrible car of all the terrible ones on the lot. Schneider is looking to make every car you look at on his lot a winner. More specifically, Schneider is looking to rent out an Audi 4. Silvercar, which has an influx of money from angel investors CrunchFund, SV Angel and others, is completely changing the rental car experience by giving customers the opportunity to choose from a rental car with some style. According to Schneider, “We want to do for rental cars what iTunes did for music.” While that may sound like a laughable goal, Schneider does present an awfully compelling case. At Silvercar, you begin by choosing any car, as long as that car is an Audi A4 with a silver paint job.While that does limit your options of getting stuck with a lousy car, its the technology inside the car that makes Silvercar’s idea work. According to Schneider, “The marriage between mobile and travel are really well suited to each other. We’re leveraging technology to get you on the road as quickly as possible.” It is in this sense that Silvercar utilizes a combination of web-based and app-based booking and payment methods that utilize Silvercar’s site and mobile apps. The way the service works is you book your rental in advance via the site or app, which sets you up a profile that has your payment and contact information along with your favorite satellite radio stations and the addresses of your hotel and meeting locations. Once you go to pick up your car you go to the lot, pick out an Audi A4 and enter in its unique identifier into the Silvercar app. The car unlocks, the embedded data connection recognizes that you are you and all of your pre-saved data is downloaded to the Audi’s infotainment system in a matter of seconds. Silvercar is definitely aiming to take the hassle out of renting a car, as well as the disappointment and frustration you get from renting another terrible car. Silvercar doesn’t make you wait in any lines or deal with any annoying desk clerks, though a concierge services is a simple phone call away. Oh and the best part is that, according to Schneider, renting a car from Silvercar won’t cost you any more than the rental price of an average full-size sedan from a traditional rental car agency. 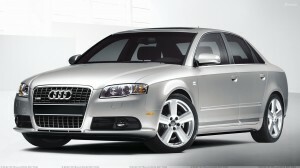 This entry was posted in Car Rental and tagged Audi, Audi A4, car rentals, Silvercar, Texas car rentals. Bookmark the permalink.